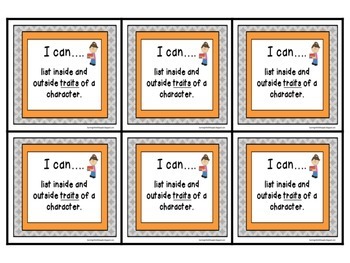 Use these "I Can..." Goal Statements to guide your students through a study of characters! These goal statements reflect Common Core State Standards, including RL.3.1, RL.3.3, RL3.5, RL.3.7, SL3.1. You will receive large and small size goal statements for 16 different mini-lessons. 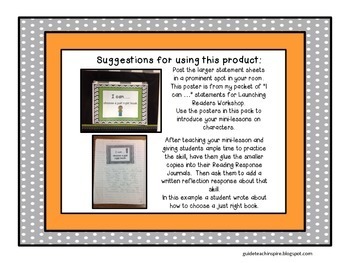 The large size are perfect for posting in the front of your classroom, and the small size are suitable for students to glue into Reading Response Journals. I can....list inside and outside traits of a character. I can...find out about a character’s emotions by looking at the illustrations. 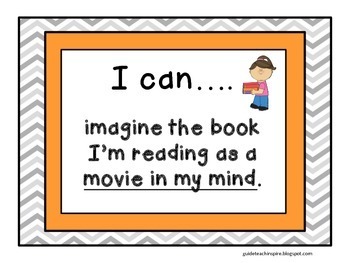 I can...use post-its to record what I’m thinking about a character. 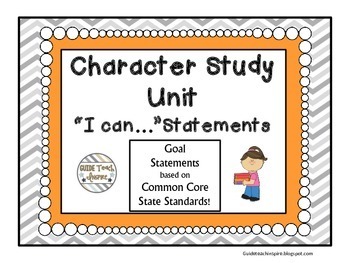 Find 11 more goal statements in this packet! An added bonus to this product is a reflection tri-fold for responding to some of the goal statements.